Prefabricated Temporary Shelter Manufacturer in Delhi, Prefabricated Temporary Shelter Supplier in Delhi, Prefabricated Temporary Shelter in Delhi. Under the strict guidance of our experienced professionals, we are manufacturing, trading and supplying an exclusive range of Prefabricated Temporary Shelter. 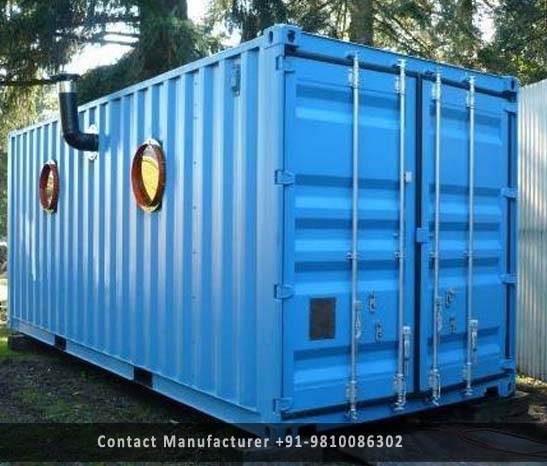 Our offered Temporary Shelter is designed and fabricated by our adroit professionals using a premium quality raw material with the help of progressive machines. This Temp structure is highly demanded in the market just because of its durability and high strength. And also Available in different sizes and designs, colours. this structure can customize according to the client's requirements on affordable price in Delhi.